The Symbol LS3578-FZ has been discontinued. No direct replacement is available. This device captures all one-dimensional (1D) barcodes even when dirty, damaged or poorly printed. Designed to meet the challenges of harsh manufacturing environments, the Symbol LS3578-FZ features fuzzy logic technology which allows first pass reads of nearly any 1D barcode, even when the barcode is dirty or damaged. Reliable and secure wireless data transmission between the scanner and host is guaranteed with integrated Bluetooth, while the 150 ft. (45 m) range allows operators to move freely without being restricted by a cord. A rugged, drop-resistant design and a sealed housing provide reliability with less accident-related equipment failure and downtime. 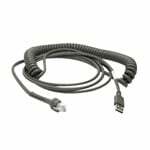 LS3578-FZ, USB interface to radio cradle, 7' straight USB cable, International Version, universal (100-250V AC) power supply. Line cord not included. See accessories. Color: Black/Yellow. LS3578-FZ, RS-232 International Kit, 1D Laser, Cordless, Fuzzy Logic. 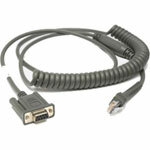 Includes Charging and Communications Cradle, RS-232 cable, and Power supply. Requires country-specific line cord. See accessories. The LS3578-FZ is an extremely rugged, cordless laser scanner designed for warehouses, production floors, and outdoor use. You can actually use this scanner as a hammer with no problems to it! The FZ version has an aggressive scan engine that excels at ready poorly printed and damaged codes. Where other scanners fail at reading the LS3578-FZ keeps on going. 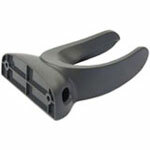 Likewise, the Bluetooth capability of the scanner means no cable clutter, which keeps workers safe in busy environments. You wonâ€™t see the LS3578-FZ at the check-out counter, but for any physically demanding environments that need scanning it is a guaranteed success. 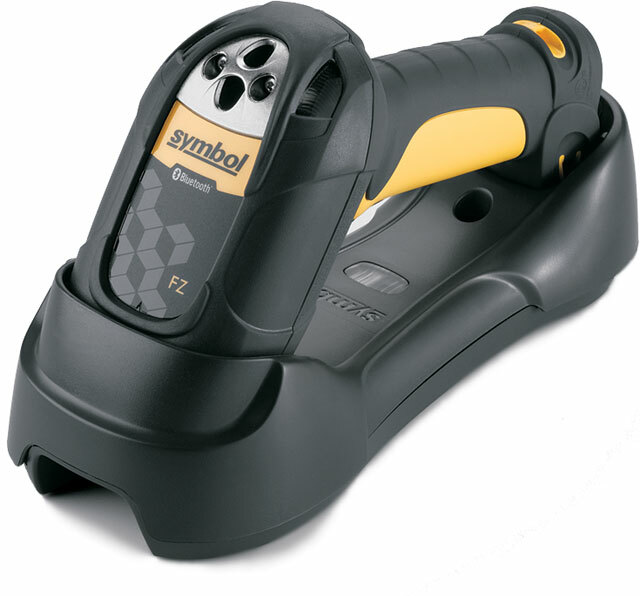 The Symbol LS3578-FZ cordless scanner provides fuzzy logic technology, enabling you to rapidly and accurately read damaged, dirty and poorly printed one-dimensional (1D) bar codes often found in industrial environments. In the yard, warehouse, distribution center, manufacturing plant or retail store, the Symbol LS3578-FZ offers superior performance and reliability as well as a user-friendly form factor that helps ensure comfortable use over long shifts. Plus, integrated Bluetooth provides reliable and secure wireless data transmission between the scanner and host, including Motorolas rugged VC5090 Vehicle-Fixed Mount Mobile Computer. With no cord between the scanner and host, employees can move freely throughout their work environment, increasing productivity and ef ciency while keeping supply chain inventory up to date at all times. 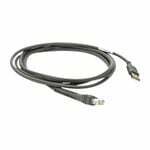 Plus, having no cord reduces downtime from cable breakdowns ï¿½ a common point of failure in handheld devices used in industrial facilities. As rugged as it is innovative, the Symbol LS3578-FZ is designed for scan-intensive industrial applications in the harshest operating conditions. Industry-leading impact tests ensure reliable performance in spite of the inevitable accidental drops. The device is impervious to dust and water, and its exit window is scratch-resistant and recessed for the highest level of durability. As a result, you avoid unnecessary equipment downtime or expensive equipment replacement costs. In addition to enhancing productivity, the LS3578-FZ offers a low TCO. The industrial-strength construction maximizes the scanners working life, and multiple on-board interfaces provide true plug-and-play simplicity with your host system today and tomorrow. Support for Remote Scanner Management (RSM) enables you to discover, provision and upgrade devices from a central remote location, dramatically reducing management time and costs. And since even the most rugged devices require a support plan, a full complement of Enterprise Mobility Services are available to help you protect your investment and maintain peak performance. For more information, contact us at +1.800.722.6234 or +1.631.738.2400. The Symbol LS3578-FZ is warranted against defects in workmanship and materials for a period of 3 years (36 months) from date of shipment, provided that the product remains unmodified and is operated under normal and proper conditions. See full warranty for details.